Photo sessions with Amber are light and enjoyable, creating a natural and personal environment that results in fine art portraits. Though founded in Alabama, word of Olive You Photography™ spread quickly across the nation, Amber photographs families all over the country and also travels for commercial photography. Olive You Photography™ is now based in New Berlin, WI, and continues to travel to serve clients in many states. Raised in Kansas City, Amber, found herself most comfortable behind the lens of a camera. “It changes the way you view the things around you,” she begins when telling about looking through the view finder of her Creator’s lens. She continues, “Simply, changing your perspective can change the result in what you see.” Amber’s passion for photography grew, and in college she was nicknamed the camera girl, as she never wanted to miss an opportunity to capture a memory. 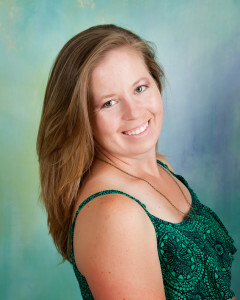 Amber perused her passion and natural hobby, and founded Olive You Photography™ in July of 2007, in Oxford, AL. stories. Amber has found that after a decade of photographing memories her specialty is newborn portraits. “My heart rate drops and I find a peace in the innocence of each baby I photograph,” Amber explains as she attributes patience as the key to creating beautiful images of new babies.